Bits of Sweetness: 5 Things I Wish I Had Known Before Getting A Tablet! 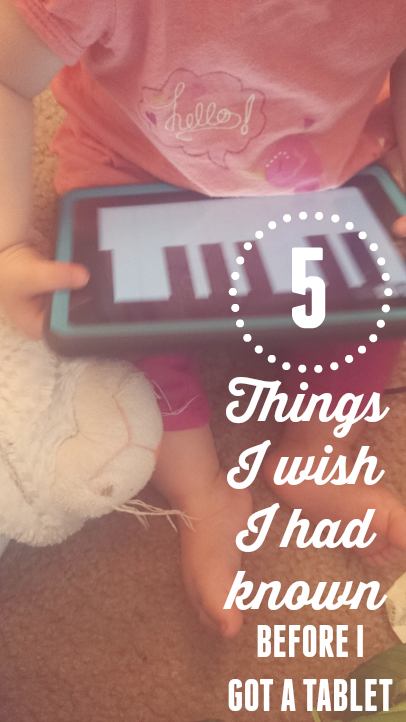 5 Things I Wish I Had Known Before Getting A Tablet! 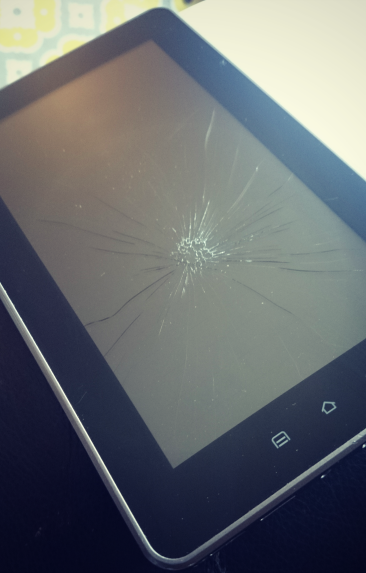 A few years ago, this happened to our very first tablet. Sad, isn't it? Just look at those cracks! They are borderline gashes. If the device had a voice, I'm sure it would be protesting its sorry little demise! Let me back up a little bit first. I found an incredible deal for a tablet on one of those timed deal sites. It was under $100. I went for it. After all, Josh would be thrilled and it would make the perfect gift! It did. It only lasted two years. I've learned a few lessons in tablet and device land that I thought you should know! 1. You do get what you pay for, both in brand and price. As we found out the hard way, the off brands featured on popular deal sites are just not made to last years. Ours failed to keep up with software upgrades and would randomly crash. Buy a brand you know and trust! 2. There is an option to set a password for any purchases on the Google Play store. You may want to set this sooner than later. Four-year olds apparently know how to buy $42 in Angry Bird powerups! True story! Google is also very gracious to refund that, but prevention is golden. 3. A solid case and screen protector are a must. Unless your zip code is outside gravity's range! I can't tell you how many kids I see playing on an unprotected expensive device! We had nothing for our first tablet and really regret it! 4. Not all screen sizes are equal! Know what you are buying for. Is it for watching shows? Does someone in your home need science homework help? Do you want a way to video chat with the grandparents? Or just reading on a reader app? Will you need to read documents? It can be hard to do on a smaller screen. 5. Have a backup plan in case something happens to it! Device insurance is a really great idea! We did not get any and regret it! Also, know good sources in case you do end up needing to replace it. Warranties and insurance can expire. There are options though! Gazelle offers certified pre-owned devices to replace yours at really reasonable rates! Every single one passes a 30-point inspection. I wish I had known about them when I was looking to replace my cell phone! Unless you like making endless payments on a device (that can add up to thousands in a lifetime! ), it can mean ending up with a cheaper quality device. Gazelle offers some fantastic solutions to this! They have a tablet selection too! The next time you are in the market for a device, head over to Gazelle for some more affordable, quality options! Have you ever had a device shattered or lost? So sad!